At the time of her death in 2005, Dahlia Ravikovitch was revered as a champion of Palestinian rights and respected as Israel’s greatest poet. As her translators and biographers Chana Bloch and Chana Kronfeld note, ‘‘No other Hebrew poet, with the exception of the late Yehuda Amichai, was so universally embraced by Israelis, whatever their political convictions.’’ Ravikovitch’s poems have long been a fixture in Israel—being an important part of the school curriculum, adapted for theater and film, integrated for musical performances and art exhibits, and used for scholarship in several books, articles, monographs, and dissertations. Early Trauma and Despair. Dahlia Ravikovitch was born on November 17, 1936, in Ramat Gan, Israel to engineer Levy (Leo) and teacher Michal Ravikovitch. By the age of three, young Dahlia was able to read and write. At four, she was designing patterns for sewing. On September 9, 1940, Ravikovitch and her mother were out doing errands on Pinsker Street when Italy bombed the city of Tel Aviv. As her mother would write to a friend a week later, according to scholar Dalia Karpel, the four-year-old screamed at the sound of what she determined was ‘‘Thunder!’’ Mother and daughter were trapped on the streets, witnessing the deaths of more than one hundred people and the wounding of many more. In 1942, when Ravikovitch was six years old, her father was killed by a drunk driver. She moved with her mother to live on Kibbutz Geva, a cooperative agricultural community in Jezreel Valley. At age thirteen, Ravikovitch left the kibbutz and lived in several foster homes over the next few years. Air raids, death, abandonment, loss, and displacement came early to her, and she soon came to incorporate all as a writer attuned to despair. 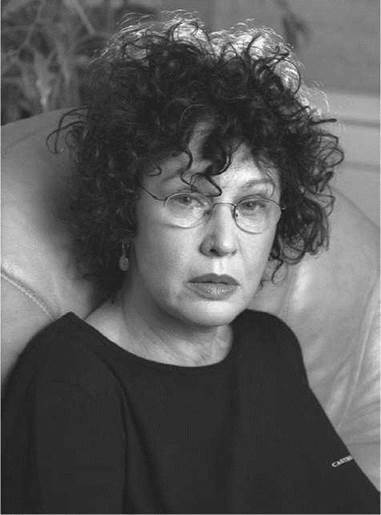 Such early traumatic experiences appeared in her poetry as late as the 1970s, with works such as Death in the Family (1976). Higher Learning and Employment. The region Ravikovitch called home was originally a part of Palestine, as defined by British mandate at the end of World War I. Between the two world wars, the area saw substantial waves of immigration from Jewish people wishing to return to what they considered their ancestral homeland. The brutal treatment of Jews by Nazi Germany during World War II—which resulted in the deaths of millions of European Jews—led to increased calls for an established Jewish homeland. In 1948, after approval by the United Nations, Palestine was split into two regions, one of which became the nation of Israel. The area of Ravikovitch’s youth became part of this new Jewish nation. Working through the next years as a journalist and critic, a teacher, and later an editor of poetry translations, Ravikovitch produced nine more books of verse—among them two books of poetry for children—and three short story collections. She also worked translating several volumes of poetry, including those of Edgar Allan Poe, William Butler Yeats, and T. S. Eliot, among others. Increased Social and Political Activity. The invasion prompted Ravikovitch to use her poetic voice as a political tool. In her poem titled ‘‘You Cannot Kill A Baby Twice,’’ Ravikovitch describes the massacre of Palestinians in refugee camps: As the Christian Lebanese army massacred women and children in the Palestinian camps, the Israeli soldiers guarding the camps did nothing to intervene. Ravikovitch, however, could not keep her silence. In another poem, ‘‘Get Out of Beirut,’’ she describes how war reduces the enemy ‘‘to people who don’t count.’’ Though showing favoritism for neither side, Ravikovitch’s work was viewed as harsh and unpatriotic. In addition to writing, Ravikovitch also participated in organized protests against the displacement of Palestinians. Sylvia Plath (1936-1963): American poet known for her startling verse with bold metaphors and stark, violent imagery. Vaclav Havel (1936-): Czech writer and dramatist, he was the ninth and final president of Czechoslovakia and the first president of the Czech Republic. Elgar Howarth (1935-): English conductor and composer, this former trumpet player has contributed his talents the world over. Joe Orton (1933-1967): English satirical playwright, he wrote risque black comedies that shocked and amused his audiences. Collected Later Poems (2003), by Anthony Hecht. In this collection of three volumes of poetry, Hecht's experiences as a World War II liberator who witnessed the atrocities firsthand take on intense focus and profound sentiment. Days to Remember (1970), a nonfiction narrative by Carlos Monsivais. This work by a leading political journalist and cultural critic chronicles the 1968 student movement in Mexico against the gross social and political injustices. Heart Mountain (1989), a novel by Gretel Ehxlich. The story focuses on the experiences of Japanese-Americans interned in the Heart Mountain, Wyoming prison camp during World War II. Three Days and a Child (1970), stories by A. B. Yehoshua. In this work, the author considers contemporary Israel, providing social commentary on present and past generations. 1. Using the library and the Internet, research Israeli life, including the culture, religion, government and politics, education, and worldviews. Select one or more of Ravikovitch’s poems and find evidence of this culture in the text. Discuss your understanding of Israeli culture as it is described by Ravikovitch. 2. Create a timeline of major events in the Arab-Israeli conflict. Some events to include would be the British Mandate of Palestine, the formation of Israel, and the Arab-Israeli War. After creating the timeline, write a brief essay explaining how one or more of these events is reflected in the works of Ravikovitch. 3. In No Rattling of Sabers: An Anthology of Israeli War Poetry (1995), Ester Raizen writes that people need to ‘‘express themselves in the medium of poetry, an inclination that seems to grow at times of national strife.’’ Consider a Ravikovitch poem that expresses emotions and sensibilities ‘‘associated with a virtually permanent state of war.’’ What attitude does she make readers aware of through her imagery? What words does she use to reveal her attitude toward war? 4. Esther Raizen further discusses the duality of the Israeli citizen during wartime: ‘‘Determination to survive, and live by the sword if need be, and going to battle against one’s will have always co-existed in the Israeli psyche.’’ Consider one of Ravikovitch’s political poems and look for this duality. How is the speaker pro-war or in favor of patriotism, defending the Israeli cause? How is the speaker antiwar or against having to fight against his or her will? Alter, Robert. Defenses of the Imagination: Jewish Writers and Modern Historical Crisis. Philadelphia: Jewish Publication Society of America, 1977, 259-260. Anderson, Elliott, and Robert Friend. Contemporary Israeli Literature:An Anthology. Philadelphia: Jewish Publication Society of America, 1977. Cooke, Miriam, and Roshni Rustomji-Kerns. Blood into Ink: South Asian and Middle Eastern Women Write War. Boulder, Colo.: Westview Press, 1994: 46, 90. Raizen, Esther, transl. No Rattling of Sabers: An Anthology of Israeli War Poetry. Austin: University of Texas Press, 1995. Bloch, Chana, and Chana Kronfeld. ‘‘The Bell Jar shatters: The Political Poetry of Dahlia Ravikovitch,’’ Tikkun Magazine 20, 6 (November-December 2005): 63-64. Pincas, Israel. ‘‘Leaving Traces.’’ Modern Hebrew Literature 1 (1988): 36-39. Ravikovitch, Dahlia. ‘‘On the Attitude toward Children in Wartime.’’ The Progressive, Vol. 70 (October 2006): 38. Weiseltier, Meir. ‘‘Real Love Is Not What It Seems to Be.’’ Modern Hebrew Literature 17 (1996): 15-19. Alkalay-Gut, Karen, transl. Dahlia Ravikovitch Poetry. Retrieved June 4, 2008, from http://karenalkalay-gut.com/RAVIKOVICH.htm. Bloch, Chana, and Chana Kronfeld. In Memoriam: Dahlia Ravikovitch (1936-2005). Retrieved June 4, 2008, from http://buffaloreport.com/2005/050928.bloch.ravikovitch.html. Posted September 28, 2005. The Institute for the Translation of Hebrew Literature. Dahlia Ravikovitch. Retrieved June 4, 2008, from http://www.ithl.org.il/author_info.asp?id=209. Last updated on February 23, 2008. Joffe, Lawrence, The Guardian. Obituary: Dalia Ravikovitch. Retrieved June 4, 2008, from http://www.guardian.co.uk/news/2005/aug/30/guardianobituaries.israel. Posted on August 30, 2005. Karpel, Dalia. Haaretz Newspaper. The Essential Dahlia Ravikovitch. Retrieved June 4, 2008, from http://www.haaretz.com/hasen/pages/ShArt.jhtml?itemNo=751788. Last updated on August 19, 2006.